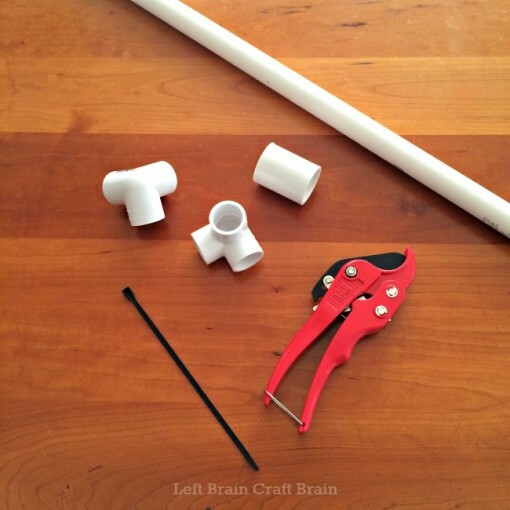 I realize that this PVC pipe naming may be new to some of you, so I’ve linked to the items on Amazon to help you get the right fit. Or, you can print out this page and take it to your local hardware / home improvement store to help you get the right items. I decided to make our tape holder a rectangle because we needed more space than a cube would provide. 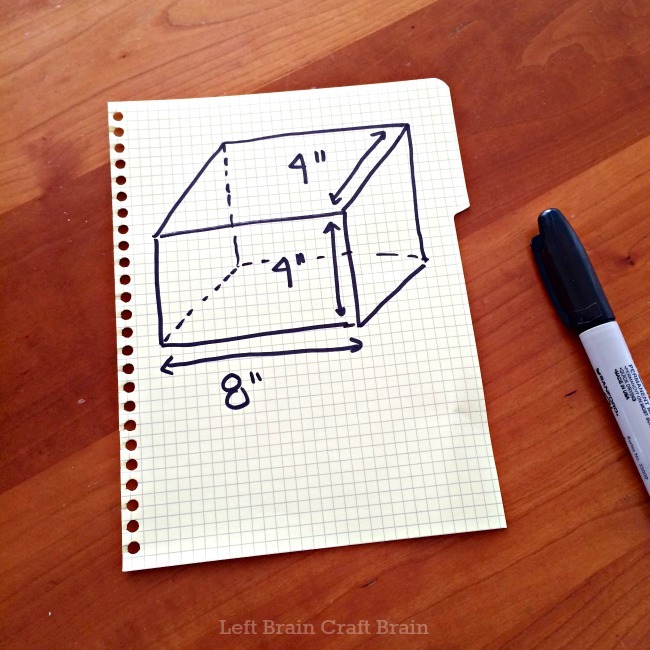 This is a great time to teach the kids about 3D shapes and how to draw them. Did you know that a 3D rectangle is called a rectangular prism? 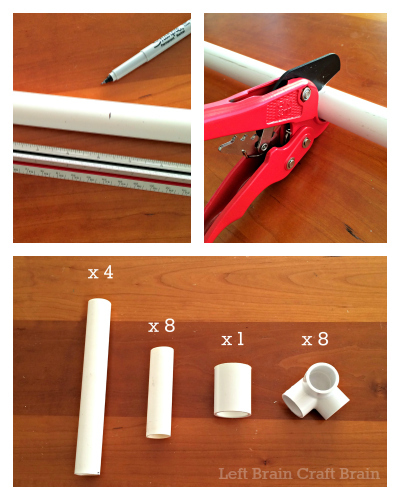 I had to Google it… The directions below are for the shape we made, but it’s up to you what size and shape you need. 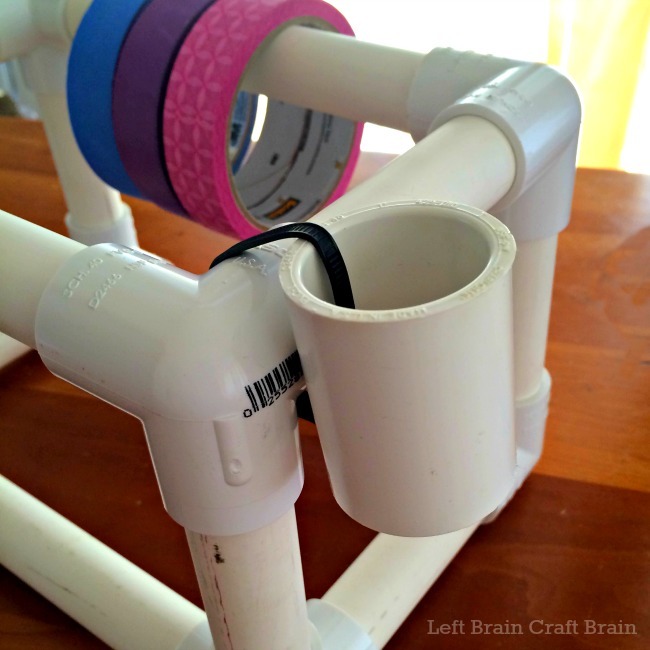 FYI, the finished size will be slightly bigger than the lengths of pipe as the elbows take up a bit of space. I highly recommend either keeping this part as a grown-ups step or kids should be closely monitored and assisted as the cutter is very sharp. Please wear appropriate safety gear like goggles if you choose to use a saw because sometimes shards of PVC come off the pipe when they are cut. 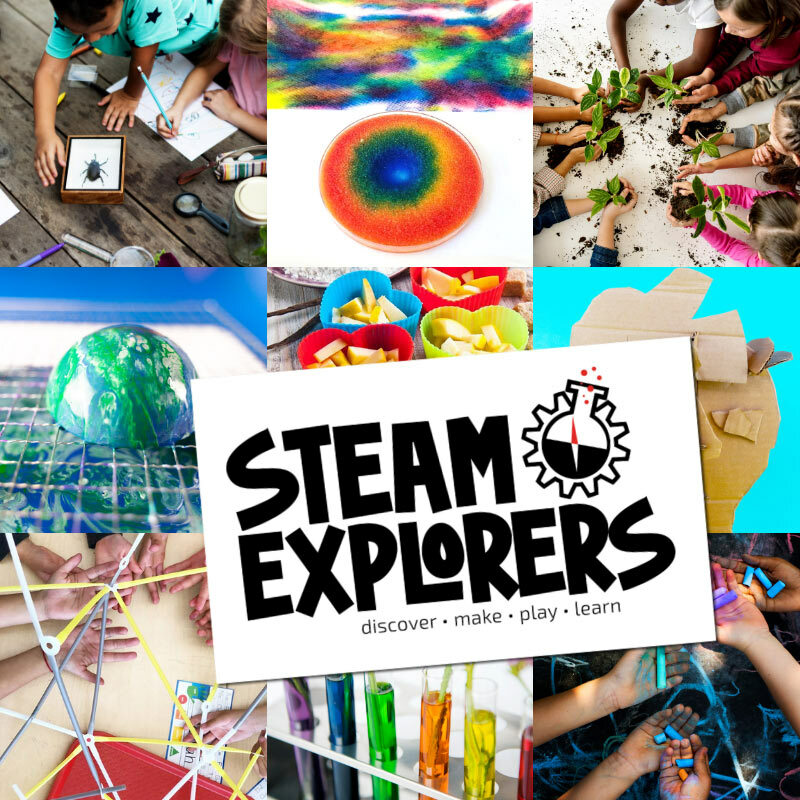 Here comes the fun part for the kids. 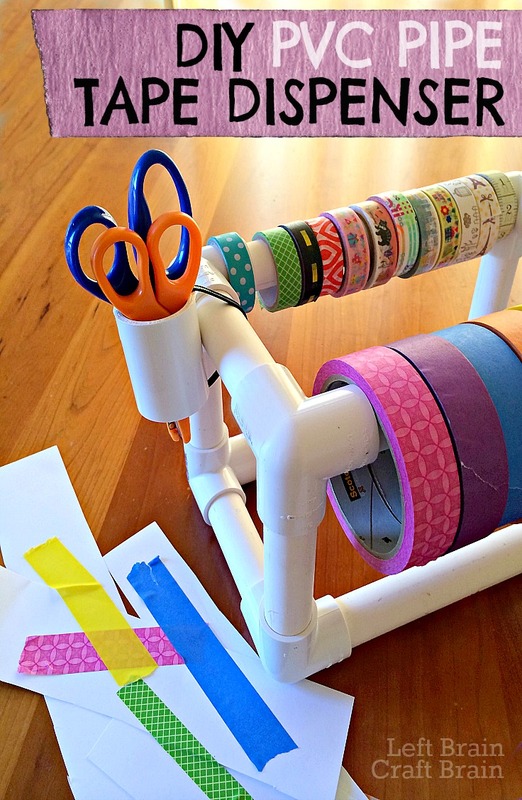 It’s time to build the tape holder! Use the 8″ pieces as the length and the 4″ pieces as the depth and height. The Babe really liked trying to figure out how to make it fit together. I think I need to buy some more fittings as a building block activity for her. 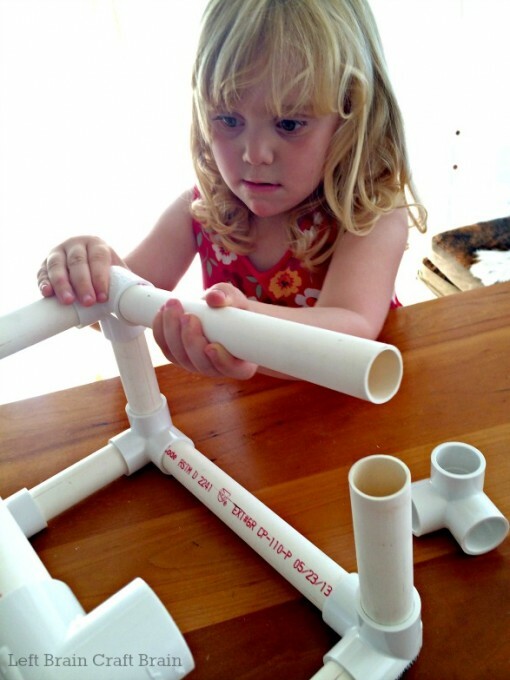 I love that she loved playing with piping because I’m a chemical engineer and my dad is a chemical engineer. There’s been a lot of piping work done in our careers… Maybe she will become a chemical engineer too! Now, grab your cable tie and the cyclindrical coupler. Slide the cable tie through the coupler and attach on the inside of one of the cross bars. We used the short side so we didn’t interfere with too much tape storage. And finally, pull out one of the pipes from the fitting and start sliding on your tape. You’re all done!! Now it’s time to do some projects with tape! 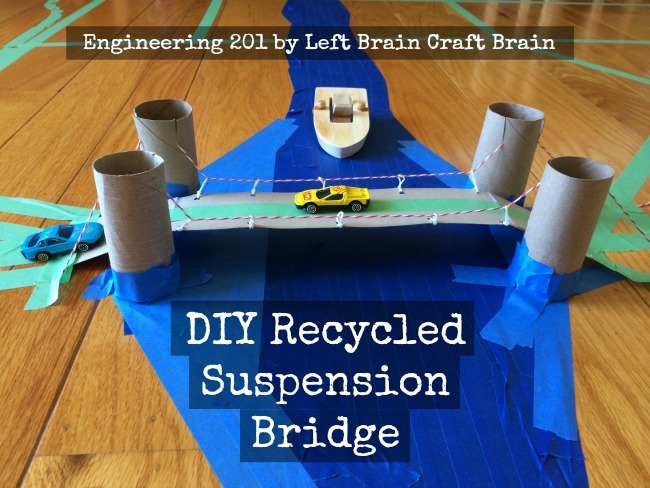 Have you seen LBCB’s DIY Recycled Suspension Bridge? 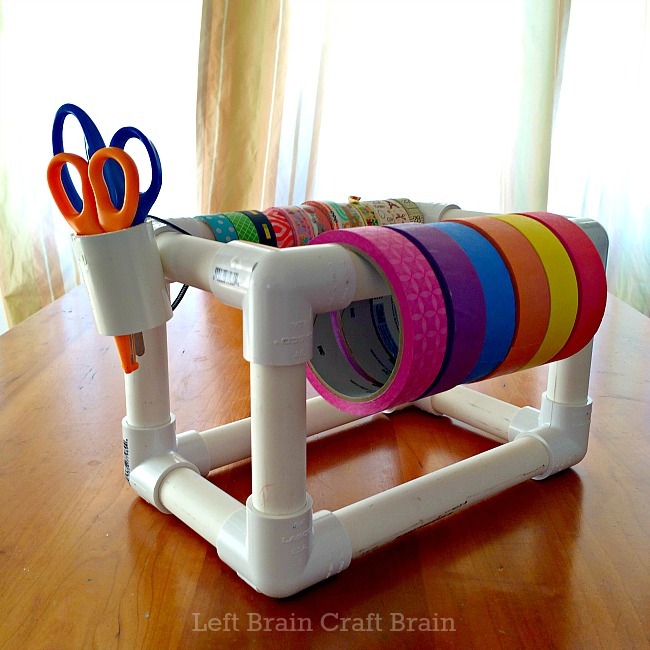 Or, check out the Left Brain Craft Brain Tape Addict Pinterest board for lots of fun and helpful ideas. Follow Anne @ Left Brain Craft Brain’s board Tape Addict on Pinterest. 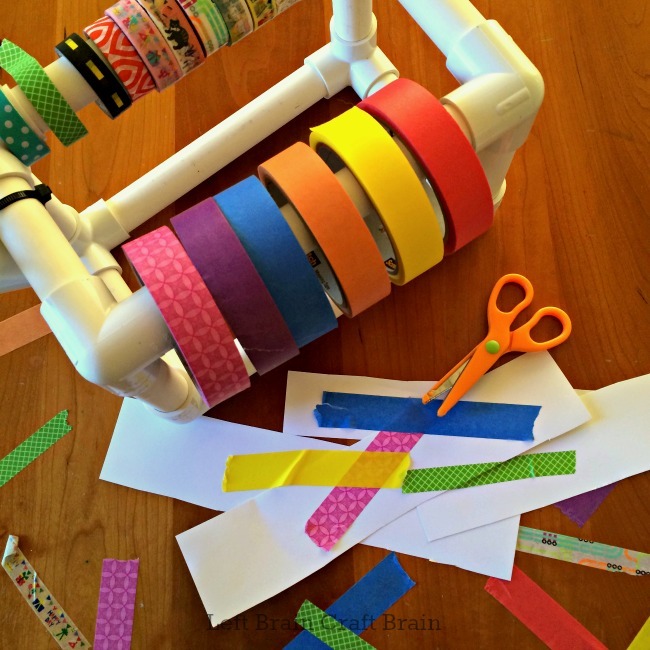 Love that tape dispenser – all kinds of awesome! That’s a great idea Nancy! Great idea! I would probably stuff the bottom pipes with sandwich bags with a bit of sand in them just to give it a bit more weight. Great idea! The pipe is pretty heavy, so we don’t seem to have any stability issues with it as is.